Over the weekend, Coney Island photographer Bruce Handy spotted these protest signs on a building facing the Boardwalk on the east side of Ocean Parkway in Brighton Beach. “The sign is located on the wooden boardwalk just east of the concrete ‘boardwalk.’ It will probably be the next section converted to concrete,” he said. Last week, ATZ had a bad Monday and so did New York City. I wasted 5 hours of my life at the Public Design Commission’s charade of a public hearing about the reconstruction of the Coney Island Boardwalk. A ten-foot-wide Concrete Lane for so-called “emergency vehicles” and an adjoining Plasticwalk were unanimously approved by the Commissioners for a pilot project in Brighton Beach. Every news reporter who covers Coney was there and stayed till the bitter end, so in all likelihood you’ve seen the headlines: “Pave Paradise and Put Up a Sidewalk: City Approves Concrete Coney Island Boardwalk” (New York Observer) and “New York City To Take The Board Out Of Fabled Coney Island Boardwalk” (WPIX). As one of the 48 people who stayed to testify–some of my fellow citizens had to leave to go back to work–I have to say the way the meeting was conducted made a mockery of democracy and public hearings. Earlier this month, ATZ wrote “The Ten People Who Will Decide the Fate of the Boardwalk.” Well, only seven commissioners showed up and one–Alice Aycock–left early, kissing her colleagues goodbye in the middle of someone’s testimony. How does it happen that in a city of more than 8 million people, six people get to decide the fate of the Coney Island Boardwalk and appear to have decided in advance of the so-called public hearing? They are Mayoral appointees. The local Community Board 13 voted against this proposal 21 to 7, but their vote was ignored because it’s “advisory.” One of the public comments at the hearing was that the Boardwalk should be renamed the Public Design Commission Concretewalk because it will no longer be the Riegelmann Boardwalk. After the vote, Commissioner Signe Nielsen turned around in her chair to say defensively to the shocked audience that the commissioners were New Yorkers who’d been to Coney Island and not aliens from outer space. Mike Caruso traveled all the way from West Virginia just to attend the hearing and speak about black locust wood, a rainforest wood alternative with longevity similar to ipe. This wood expert was only allowed two minutes to share his information. The Parks Department spent a lot of time wringing their hands that there is no black locust wood available when there was an expert in the room who said he has this wood available and would be willing to work with them on providing it to their specifications. When Commissioner Byron Kim suggested pursuing this, the other Commissioners ignored this suggestion and moved on. Several of the most intelligent questions were never fully answered or explored. For example, Commissioner Byron Kim asked several questions about the concrete strip down the center of the boardwalk. He wondered why, if this is a pilot program testing a new material, they couldn’t use RPL for the whole decking to see how it fared. The Parks Department answered that they had found that RPL was too slippery for vehicles. 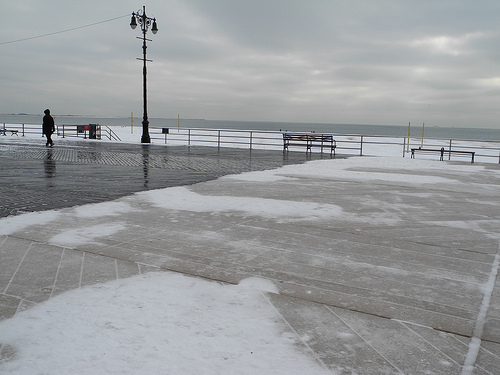 Kim pointed out that he had seen numerous photos of ice building up on concrete sections of the boardwalk, yet the Parks Department was proposing concrete for the vehicle lane. “Isn’t ice more slippery?” he asked. The Parks Department replied that most emergencies happen in the summer. And the Design Commission left it at that. The fight goes on to save other parts of the Boardwalk. Please write to the Mayor’s office and tell New York City that you don’t want to see any more of the historic Coney Island Boardwalk destroyed. Please also sign the online petition, if you haven’t already, and continue to circulate it to friends. Since the Coney Island-Brighton Beach Concretewalk Blues has yet to be composed, here’s Counting Crows version of “Paved Paradise…” filmed on location in Astroland and the Coney Island Boardwalk in 2002. Hat tip to @eastcoastimages. On Monday, March 12th, the twice-postponed hearing before the City’s Public Design Commission to decide the fate of the Coney Island Boardwalk will finally take place. The Parks Department will lay out their plans for a Plasticwalk with a 12-foot-Concrete Roadway down the middle in Brighton Beach, claiming it will be more durable and less costly to maintain than the wooden Boardwalk in place for nearly nine decades. The Coney-Brighton Boardwalk Alliance and Friends of the Boardwalk will present their plan to “Keep the Boards in the Boardwalk” (also the title of an online petition) by using sustainable wood and concrete supports, citing Ocean City, Maryland’s successful renovation of their Boardwalk in 2011. “The public is welcome to attend and give testimony,” according to the PDC’s website. The grassroots groups are urging Boardwalk lovers to show up in number and use their 3-minute time slot to read from their letters of support and research materials. If you are interested, email Rob Burstein of the Coney-Brighton Boardwalk Alliance at robburstein[AT]hotmail[DOT]com and he can email you a 3-minute segment to read. According to their bios on the PDC’s site, the Commissioners are a distinguished group of architects, artists and representatives of the City’s cultural institutions. Yes, they are appointed by the Mayor, but they serve pro bono. At the last hearing in October, the Public Design Commission refused to approve the Parks Department’s plan and said that more environmental and engineering studies were needed to address the questions that they had. It will be interesting to see what Pearsall and the other Commissioners have to say at Monday’s hearing. Can you sway their vote with your 3-minute spiel? Or is it a done deal? The Public Design Commission’s vote is expected soon after the hearing and will determine whether the future of the Coney Island Boardwalk will be wood or plastic and concrete. Public Design Commission, 253 Broadway, Conference Room on 5th floor. The building is near City Hall. “The Reconstruction of the Riegelmann Boardwalk, Brighton 15th Street to Coney Island Avenue” is on the agenda for 1:25 pm. Members of the public are encouraged to arrive at least 45 minutes in advance of the estimated time. Those who also plan to testify are encouraged to submit their testimony in writing in advance of the meeting date. Do I have to even mention this is a David vs Goliath situation? New York City’s Parks Department has an annual budget of $249 $290.2 million. Coney-Brighton Boardwalk Alliance is made up of local people who volunteer their time. Hearings scheduled by Parks for January 30 and February 21 were abruptly postponed. How inconvenient for citizens who arranged to take time off from work to attend! 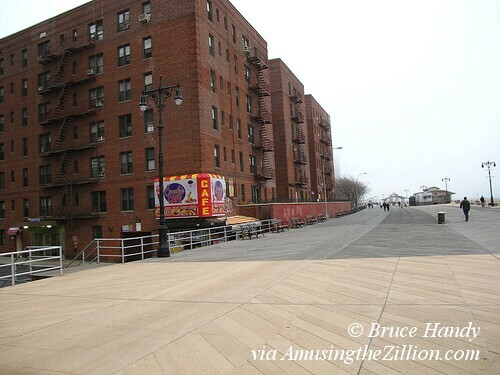 Meanwhile, the Alliance’s online petition to “Keep the Boards in the Coney Island Boardwalk –No Concrete! and Save the Rainforests” continues to collect signatures, though it would have a lot more if the Times story read round the world had provided a link to it. ATZ’s takeaway from the Times story on the Boardwalk was that Parks has been lobbying PDC Commissioners and postponing the vote till they’re sure of a win. In the article, Commissioners were described as “persuaded” or “resigned to” the Parks Department’s plan to use plastic wood and a strip of concrete down the middle for emergency vehicles. This so-called compromise plan was in fact voted down by the Community Board last year. It’s too bad the New York Times, which made this compromise plan sound inevitable, removed the word “concrete” from the original headline on the web version of the story when they corrected it to add the word “may.” Is concrete a dirty word? Here is the first part of the Coney-Brighton Boardwalk Alliance’s letter, which is signed by Rob Burstein, the founder and president of the organization, and Christianna Nelson, the chairwoman. Enclosed is a binder with research, letters, and photos we have gathered that together create a compelling argument for maintaining Coney Island’s wood boardwalk. A recent New York Times article reported that, “some commission members said they would reluctantly embrace the synthetic wood-concrete compromise.” Given that the Parks Department seems to have communicated privately with at least some Commission members, we respectfully request the same opportunity. We wish to provide you with information that our experts have compiled that the Parks Department is either unaware of or has willfully ignored, thus denying you the opportunity to benefit from it in your decision-making process. A decision of this magnitude should be based on a complete understanding of all the issues and available options. This is especially true since the Commission’s decision will have profound and far reaching implications for all the citizens of New York City, but most especially for the communities which will be most affected by whatever action the Commission takes. We are sharing this information with you so that you have adequate time to review it in advance of any hearing, to reflect on its merits and factor it into your decision. Accordingly, we would like to schedule a meeting with you and the other Design Commissioners, at your earliest convenience, to present our research in person and to correct the numerous fallacies in the Parks Department’s arguments as reported in the Times article. Additionally, we would like to invite you on a brief tour of Boardwalk sites, to show you completed work with design elements that are problematical, yet still repeated in the current Parks Department proposal. To provide you with a brief overview, the Times articles describes three arguments that the Park Department proffers in support of replacing the majority of the boardwalk with either concrete or plastic. None of these arguments, either standing alone or collectively, supports the Parks Department’s proposal. Reality: This is simply not true. A study commissioned by the Parks Department in 2008 and conducted by the Columbia School of Engineering concluded that black locust wood was the best material to use in rebuilding and repairing the boardwalk. (Tab 1). Black locust wood is, in fact, readily available in large quantities. (Tab 2). ***For more specific information (suppliers, treatment methods, other possible wood options, etc. ), please see the attached Addendum #1 from Tim Keating, Director of Rainforest Relief. Ocean City, Maryland recently repaired their boardwalk using treated #1 dense southern yellow pine for the decking. Their substructure of concrete footings provides enough support for the passenger trams that run up and down their boardwalk daily, as well as car and fire engine parades. (Tabs 19-21). Reality: The Parks Department spent millions of dollars on concrete sections which have already required significant repairs. 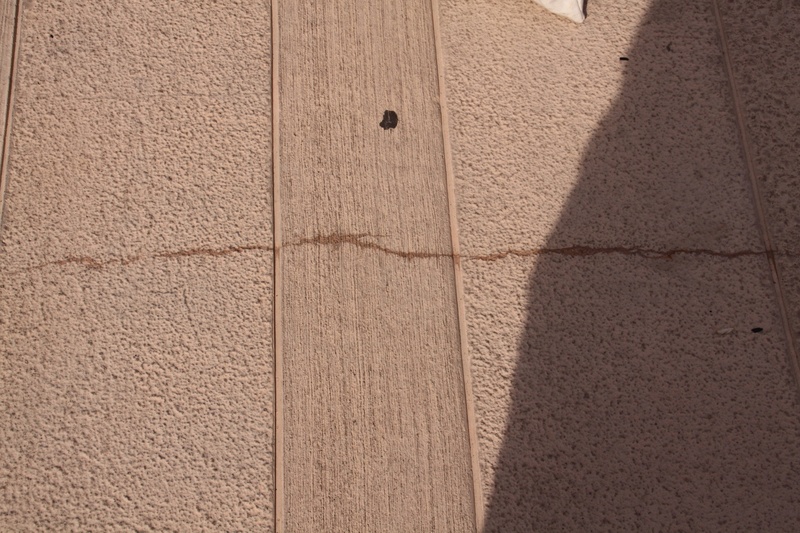 Numerous unsightly cracks have appeared and, in some places, whole chunks of concrete have crumbled away, both on the decking area and underneath in the substructure. (Tab 22 shows photos of some of this damage). By contrast, in Ocean City, Maryland, City Engineer Terry McGean tested very small sections of various materials for a brief period to determine what was best for long-term use. (Tab 20 contains a photo of these test sections). Concrete and plastic take maintenance, too. In fact, the biggest cost differential between wood and concrete is in the installation, not the maintenance. In Ocean City, McGean determined that over a 50-year period, the cost difference between wood and concrete was $1 million dollars ($16.7 million for all wood and $15.5 for wood with stamped concrete). This amounts to an extra $24,000 per year for wood vs. concrete. (Tabs, 18, 20). From an aesthetic standpoint, concrete deteriorates much more quickly than wood, and is more difficult to repair, since there is no option of merely replacing one or two faulty boards. The numerous chips, cracks and stains create “an unappealing, patchy look that downgrades the overall appearance of the boardwalk.” (Tabs 10, 11, 17, 22). The Parks Department ignores the fact that people come from all over the world to see our Boardwalk, bringing tourism dollars to New York. Mr. Benepe states that “economic considerations outweigh the historical importance of the wood.” But wood’s historical significance has real economic value. (Tab 15). People come to Coney Island to experience its history and unique character, not to see a generic concrete and plastic sidewalk. (Tab 23 shows numerous comments to this effect from the over 2,000 tourists and locals who have signed our online petition). Indeed, Ocean City, Maryland changed part of its boardwalk from concrete back to wood in the late 1990’s and experienced significant economic improvement as a direct result. (Tab 16). More recently, in 2011, Ocean City considered creating a concrete lane for vehicles on their boardwalk, similar to what the Parks Department is proposing for Coney Island. (Tab 20). But they decided against this option when the results of their online poll showed overwhelming support for an all-wood boardwalk without any traffic lane. Tourists and locals alike lauded their boardwalk as the city’s “heart and soul.” (Tab 17). The Parks Department is relying on conflicting assumptions. 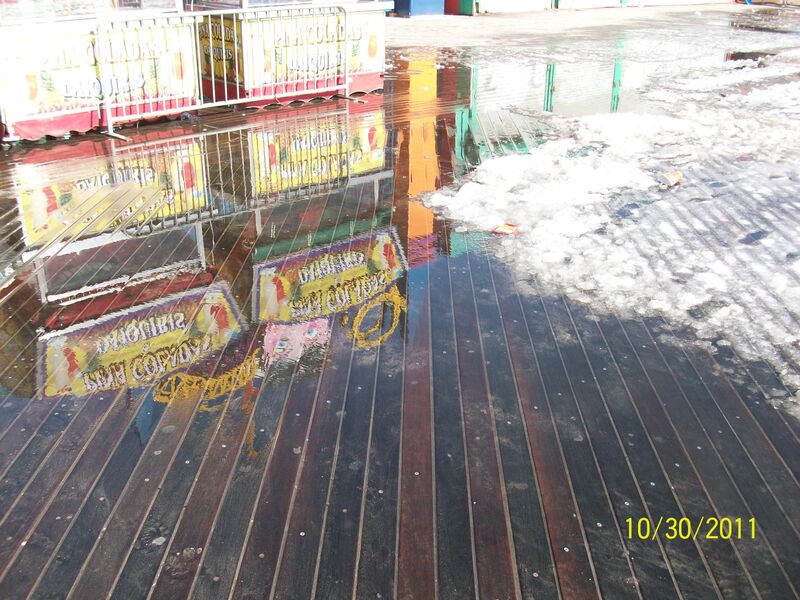 They claim that the Boardwalk is in enough disrepair to warrant a complete overhaul. Yet they also claim that it costs $1 million per year to maintain it. If they have been spending $1 million per year on maintenance, how is it that the boardwalk is so damaged? And if they have not been doing proper maintenance, how can they possibly know how much that maintenance costs? The fact is that the Parks Department has refused to allocate funds to properly maintain the boardwalk. Instead, they have neglected the boardwalk for many years and now claim that the only solution is to destroy the whole thing and build a new one using borrowed capital funds. It would be more cost-effective to repair the current structure and maintain it properly. Claim #3: Concrete and plastic are sturdier and just as safe as wood. The Parks Department claims that “a 12-foot concrete section for emergency vehicles” is necessary. Reality: This argument relies on two unwarranted suppositions. First, the Parks Department premises its claim that heavy vehicles, such as police cars and sanitation trucks, need to use the boardwalk as a roadway. A cursory review of New York City amply demonstrates that police patrols do not necessarily need to take place in heavy vehicles. Lightweight golf cart vehicles, which are used in other New York City venues, should be considered here, as well as bicycles in warmer weather. Similarly, trash collection can be accomplished using smaller vehicles. Certainly, this has been done in other public spaces, such as Central Park. (Tabs 6, 7, 11). Second, the Parks Department relies on the flawed premise that, even if heavy vehicles were to continue to use the Boardwalk, there is no way to construct a supportive structure utilizing wood. Ocean City Maryland’s boardwalk, which accommodates daily tram traffic for its 8 million annual visitors, demonstrably proves otherwise (According to a November 7, 2011 press release at www.nyc.gov, Coney Island receives approximately 640,000 visitors in the summer season). Ocean City’s boardwalk is able to support this kind of enormous traffic because of its innovative, strong substructure. (Tabs 16, 19-21). Moreover, the concrete and plastic sections that the Parks Department already installed have created real safety hazards that simply are not present when wood is used. The concrete slabs do not allow for sufficient drainage of water. Consequently sheets of ice build up on the concrete in the winter. 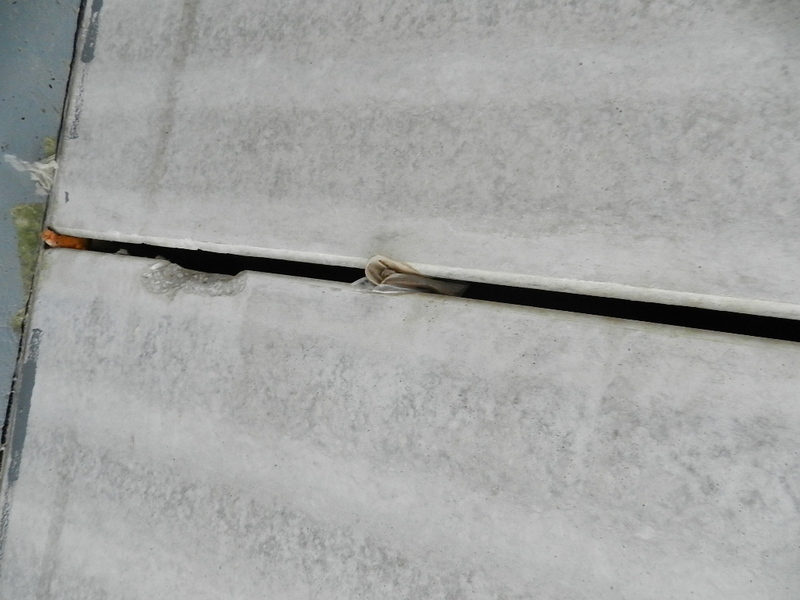 (Tab 22 contains a photo showing sheets of ice on the concrete section, but no ice on the wood section). The plastic decking material fares no better. The plastic is slippery year round, especially given the ocean mist. ***For more specific information about the hazards of RPL, please see attached Addendum #1 from Tim Keating, Director of Rainforest Relief. The Parks Department’s use of concrete slabs as a substructure over which wood is placed also creates safety risks. 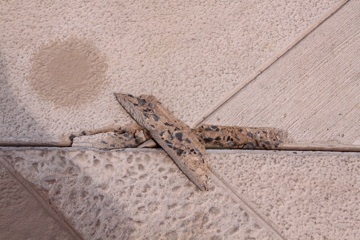 The lack of drainage inherent in this design causes sand and other debris to build up. The result is damaged wood and loose screws, both of which present hazards to pedestrians and bicyclists. ***For more specific information regarding these design flaws and problematic previous applications, please refer to the attached Addendum #2, which contains email correspondence from Stuart K. Pertz, FAIA, Architect and Urban Designer. Additionally, the concrete substructure creates a harsh and unforgiving surface for runners, pedestrians, and dancers, who all use the Boardwalk on a daily basis (Tabs 9, 11, 12, 13, 14). Concrete also has been known to concentrate wave energy, increasing the risk of floods. (Tab 8). If concrete and plastic were the only environmentally responsible, affordable, easily available, sturdy, and safe options for repairing a boardwalk, no city would choose to maintain a wood boardwalk. But many communities across the country have found that wood boardwalks are, in fact, viable and beneficial. For example, Long Beach, NY; Long Branch, NJ; Asbury Park, NJ; Point Pleasant, NJ; Seaside Heights, NJ; Atlantic City, NJ; Ventnor, NJ; Ocean City, NJ; North Wildwood, NJ; Wildwood, NJ; Bethany Beach, DE; Ocean City, MD; Myrtle Beach, SC; Miami Beach, FL; and Santa Monica, CA are some of the municipalities that have come to the reasoned conclusion that a wood boardwalk can and should be maintained. 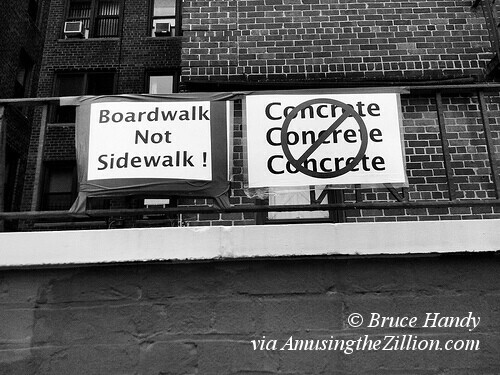 Oct 24, 10:30 am: Last Chance to Stop Coney Island Concretewalk? Coney Island’s world-famous, 2.7-mile Boardwalk is listed among America’s Best Beach Boardwalks by the travel editors at National Geographic, Travel + Leisure and USA Today. Will it qualify for this honor if only four blocks in the amusement area remain wood and the rest is paved with concrete and plastic wood? A Parks Department spokeswoman told Brooklyn’s Courier News that concrete was chosen because it’s about $40 per foot cheaper than real wood. The Bloomberg administration’s plan to pave the Coney Island Boardwalk will be voted on by the City’s Public Design Commission. A friend forwarded the info that the PDC hearing is at 10:30 am on Monday, October 24th. It is recommended that you get there at 10 am to sign in. “Please bring others if you can as this is our best chance to defeat this,” writes Rob Burstein of the Coney-Brighton Boardwalk Alliance. The local Community Board voted 21 to 7 against the plan in May, but their vote was ignored because New York City’s CBs are advisory boards. News stories about the Boardwalk redo gave the impression that the Public Design Commission vote was a foregone conclusion, possibly because the members are all Mayoral appointees. However, after reading the letter from Burstein and Friends of the Boardwalk’s Todd Dobrin, we took a closer look at the Design Commission. “The Gatekeepers,” a report in the Architect’s Newspaper, described the PDC as “little known to the public and a mystery even to many architects.” Commission members are a distinguished group including architects, artists and representatives of the Brooklyn Museum, the Metropolitan Museum of Art and the New York Public Library. They serve pro bono. Hey, we think it’s worth a shot. 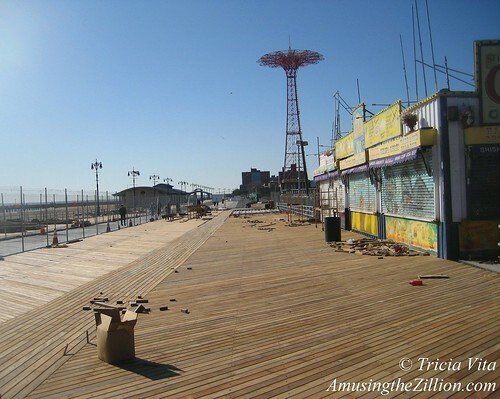 It could be your last chance to save Coney Island’s Boardwalk from becoming a Concretewalk. I’m writing to ask you to join us on Monday, October 24th, at the NYC Design Commission. There will be a hearing about the proposed plan to replace the iconic Brighton Beach and Coney Island boardwalk with concrete slabs. A small group of us showed up a few weeks ago to express our displeasure with this Parks Department’s proposal so the hearing was changed to the date above. This was so that the Commission could hear our objections regarding this plan for the boardwalk. THIS IS OUR BEST CHANCE FOR DEFEATING THIS PLAN!We need a substantial number of people at this hearing to express their displeasure with the proposal. The people on this Commission have no idea what impact their decisions have on this community. As neighbors who enjoy the boardwalk and don’t want it turned into a sidewalk or driveway, I’m hoping to prevail upon you to join us and express your outrage at this horrendous plan. We all have too many responsibilities and too little time, but many of us are taking off from our jobs yet again in order to attend this most important meeting. Won’t you join with us? Your presence is important! This Commission is not an advisory body. They make the final decision as to whether or not this project goes forward. Please don’t let cynicism about the good it does to show up at a hearing such as this stop you from coming. It CAN make a difference! Look at what happened when enough of us showed up to object to construction of the proposed amphitheater in Asser Levy/Seaside Park. This Commission stopped the plan because enough community members showed up to object. Please support us and our community once again. Please attend and tell your friends and neighbors to join us! The time on the 24th will be announced in the next day or two and I will forward it on once it’s been set. Thanks for your consideration and support! The next public hearing at the Design Commission is set for Monday, March 12. For more info, see the Coney-Brighton Boardwalk Alliance’s new website.